Thanks for visiting Retraction Watch. 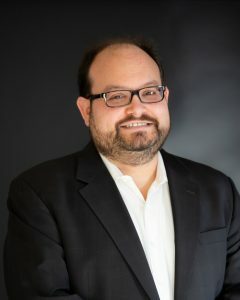 I’m Ivan Oransky, Vice President, Editorial, at Medscape, and Distinguished Writer In Residence at New York University’s Carter Journalism Institute, where I teach medical journalism in the Science, Health, and Environmental Reporting Program. I’m also the president of the Association of Health Care Journalists. The views here do not necessarily represent those of any of those organizations. In the past, I’ve been vice president and global editorial director of MedPage Today, executive editor of Reuters Health, managing editor, online, of Scientific American, deputy editor of The Scientist, and editor-in-chief of the now-defunct Praxis Post. For three years, I taught in the health and medicine track at the City University of New York’s Graduate School of Journalism. I earned my bachelor’s at Harvard, where I was executive editor of The Harvard Crimson, and my MD at the New York University of School of Medicine, where I hold an appointment as clinical assistant professor of medicine. In 2015, I was awarded the John P. McGovern Award for excellence in biomedical communication from the American Medical Writers Association, and in 2017, I received an honorary doctorate of civil laws from The University of the South (Sewanee). For more on what this blog is about, see its first post and this interview transcript. Please also visit my other blog, Embargo Watch. Follow me on Twitter — @ivanoransky — or email me at ivan@retractionwatch.com. I am very interested in the information you have about various types of fraud. I am getting involved in the reproducible research issue, which means several things: 1) data well defined 2) methods expressed in a way to be redone 3) papers with a clear path from data to results. One issue that I am interested in is the degree to which “fraud” is actually “sloppy and careless work”. Potti for instance – is he a fraudster, or just a person who needed to hire a competent database person? Are you keeping records of frauds, classified in various ways? If not, perhaps you should establish a “fraud database”, in which you classify frauds in terms of a) number of distinct actions b) number of persons involved c) papers which result d) citations of papers e) actions from frauds f) how fraud was discovered and so forth. There’s a stacked bar graph you’ll like. Great blog. Just curious. Are you interested in every retraction or only interesting/unique/high profile ones? Because I see many retractions in the literature that go unreported here. Is there a place these can be reported or documented, at least for statistical purposes. Also, do you think the increased number of retractions is leading to an almost blasé attitude towards the topic now? At least for me, if I see a retraction, it isn’t quite “shock horror” as it once was. Thanks! We’re interested in all retractions. We keep a list, and get to as many as we can. We’d be happy to hear about any you come across. My email is in my bio above. I can’t say whether people have a blase attitude at this point, but it’s certainly possible. We don’t! I enjoyed hearing your interview on NPR. By the way, I was a “whistleblower” several years ago. I contacted PNAS about suspicious results in a scientific article that was published in a then current issue, and I hate to say that I’m not sure I’d do it again. The editor(s) read my complaint and the authors’ rebuttal and decided they could find no problem. I felt bad and embarrassed. Oddly enough, four years later, PNAS printed a retraction of that very article (with practically no explanation) except that they acknowledged that a problem had been identified by a “reader”. The most enjoyable thing when reading your blog is that I saw that tiny bits of justice. Prevention is best–have you compiled a list of best practices for scholarly authors, especially those research and writing practices that could be generalized across the sciences? Have favorites among others’ books or blogs on scholarly writing that would be helpful to post-docs writing their first few articles? Your blog with a cup of coffee are my necessary eyeopeners mid-morning daily–thanks! Perhaps you next public presentation could be recorded, it could be great for teaching graduate students! Although I applaud vigilance about research misconduct – I think we all need to be accurate about definitions – what are we seeking of and what is the goal. About 2 years ago I submitted a manuscript in which we described results of an experiment using a technique previously published/used by our group. As part of our description of the method we published a figure which gave an example of the graphic output resulting from our method which was designed to explain how we make our measurement endpoint. This ‘picture/figure’ was not a datapoint but was methodological in nature. In the figure legend we referenced the original article in which the figure was published. This, unfortunately was considered ‘duplication’ and the response of the editorial office was this might be construed as fraud. If one uses a method not obvious to all and describes it in a new manuscript – is this fraudulent duplication? I hope not. If we cannot be clear about the definition of this problem – we create a new one. “holier-than-Thou”,or degenerate into something akin to a modern day “Crucible”. It should be about putting the record straight. I can only speak from personal experience, but after a recent high-profile case in Germany many people at the same institute we accused of scientific misconduct, as if everybody commits misconduct, and in the belief that the slightest infraction, or perceived infraction, equalled a number of retractions which you need more than your fingers and thumbs to count. Friends did keep their primary data and records, which of course they could show, but there is a lot of collateral damage though. It is an odd feeling, to worry about things you did quite right. It has calmed down now. I see your concern, and think it is justified, however it is for the best that science becomes strict about such things. If you made clear to the editors the image came from other sources they cannot say you tried to deceive them (the principle of fraud). But they can say you can be misinterpreted by readers for attempted fraud. And that is apparently what they said. In that point I agree with the journal, they were emphatic in saying that the repetition might be seen as fraud by readers, which can harm both your image and the journal’s. Better be safe. I agree with the journal concerns, and you ought not to take that so hard. For this to be considered fraud by a reader, you’d have to be specifically looking for something to construct as fraudulous. The one potential problem is that the figure was used previously in another journal and may thus be under copyright. What a great blog! Safeguarding the integrity of the scientific process is thankless but essential work. Just attended former colleague’s, Steve Shafer’s, talk to the New York State Society of Anesthesiology’s Post Graduate Assembly regarding how, over the course of 1400 emails, he dealt with Boldt’s fraud leading to prosecution and retraction you document here. Fascinating stuff. Dr. Shafer is a mountain of intelligence, insight, integrity and good humor. So fun to see this important work documented by you and Adam Marcus. Ivan, thank you for the invaluable work you do. BTW, we are both NYU alums (mine is an MA and Ph.D.). You do all of us proud by your efforts to route out this type of pseudo-scholarship. As a frequent reader of your blog I only have a suggestion: it would be nice to see which are the posts that are more commented. It would be nice to order the posts for number of comments as those more commented would likely be the more interesting and more impactful. thanks again for your work, very nice blog! Thanks for the good suggestion. The right-hand column is already a bit cramped, but we’ll see what we can do. Interesting blog which I just now discovered, and added my email to your subscription list. Thank you! An issue has been identified in the processing of the data used in the study, “Evidence of unusual late 20th century warming from an Australasian temperature reconstruction spanning the last millennium” by Joelle Gergis, Raphael Neukom, Stephen Phipps, Ailie Gallant and David Karoly, accepted for publication in the Journal of Climate. We are currently reviewing the data and results. u guys are doing a great job.. just wonder if you have experienced any personal ‘threats’.. following some of these ‘exposes’? Thanks, Zbys. Other than a cease-and-desist letter from a scientific society that didn’t want us to use their logo, we have not had any threats, personal or otherwise. Certainly there are some who disagree with us, sometimes strongly, but that kind of feedback is welcome. The Wall Street Journal printed an article on August 25 about gaming the citation indices. Two journals have been accused of requiring authors to cite more articles in the journal before they would be published. You can reach the beginning of the article, but must subscribe to read all of it. No one can say yet how this will end up, but this Lewandowsky et al (2012) is more flawed and the data/analysis more incomplete and distorted than should be considered acceptable for any scientific paper. Is there any public info about the status? Can anyone get an honest answer about what is going on with this dubious and now much debunked paper? It’s already has its “release by press release” six weeks ago but the published paper seems to be in some kind of unannounced journal limbo?? Lewandowsky, S., Oberauer, K., & Gignac, C. E. (in press). NASA faked the moon landing—therefore (climate) science is a hoax: An anatomy of the motivated rejection of science.. Psychological Science. I have been reading science-fraud.org, and I am concerned that its allegations are generally ignored – in fact googling keywords from its stories gives hits from science-fraud and nowhere else. I understand that RW has a very specific focus, but is there any way that allegations that have not resulted in retractions can be publicised more effectively? ..and you better be quick on this: as you can see Science-Fraud is already being constantly threatened and the good old Abnormal Science Blog has completely vanished from online existence! Maybe one day RW will meet the same fate? Well spotted! It makes science fun again! Other things that never really happended may come out soon. I just found this rather opaque retraction notice in the most recent version of the Journal of Neuroscience. Essentially zero information. Just have some concerns regarding the Sampaolesi, Cossu, Nature 2006. Using Photoshop, you will notice that the MyHC bands in Figure 4 (Varus and Vampire samples) are identical. They overlay perfectly, although the authors cut off one band on each side (smart). I can send you the Photoshop files but it is obvious! deserve to be retracted or just an error? I am curious if you have looked at the ACS journal Environmental Science & Technology (ES&T)? I am researching the incidence of retraction in environmental science journals. Since I am a member of ACS, I contacted an editor at ES&T about retractions and he told me they almost never happen. I know I have not seen a retraction in the years I have been involved with ACS. I find this a bit suspicious considering the volume of article that are published by the journal. Not to mention questionable practices such as “pick your reviewer”. I get the feeling that this site is more tailored to the medical sciences but I thought I would just mention my findings so far. Please, I beg you to compare the table in the manuscript “Prepubertal gynecomastia in two monozygotic twins with Peutz-Jeghers syndrome: Clinical and surgical management” by Grella E (JPRAS, Aug 2013) with the table in the manuscript “Prepubertal gynecomastia in two monozygotic twins with Peutz-Jeghers syndrome: two years’ treatment with anastrozole and genetic study” by Grandone A (Horm Res Pediatr 2011). Please compare the figures in the manuscript “Prepubertal gynecomastia in two monozygotic twins with Peutz-Jeghers syndrome: Clinical and surgical management” by Grella E (JPRAS 2013) with the figures in the manuscript “Management of Prepubertal Gynecomastia in Two Monozygotic Twins With Peutz-Jeghers Syndrome: From Aromatase Inhibitors To Subcutaneous Mastectomy” by Ferraro G (Aesth Plast Surg, July 2013). Could you please give us a simple and direct way to reach you to make suggestions on new cases etc? Hi there, I love this blog even though it highlights the lengths some researchers go to publish-or-die even at the expense of valid research/morals/ethics etc. I have been searching on your blog, but I cannot find anything about ghost-writing. I am a postdoc and looking to supplement my income with medical writing (our lab recently didn’t get it’s funding renewed, so now on part-time to minimise costs). The most recent jobs I have been offered are two brief reports and one full article. A quick internet search of the person who contacted me shows they are in science and are genuinely wanting papers written (a number are already in print from a variety of peer reviewed journals). But my question is this. Is it ethical to ghost-write a paper? I should note that not only have I been asked to write it, but also to analyse the data and write something that mirrors a paper from 2007. The person in question has openly stated they don’t have all the data/conclusions yet, but they “like” a particular hypothesis. It certainly is a muddy area where nobody wants to explore. It is not shocking news to tell you that there are many incompetent professors who can not give a 15 minutes talk about their area of expertise notwithstanding the hundreds of papers published in their names. These have either plagiarized or used the services of ghost writers or (fill in the blank). And although suspicion is seen in the eyes of their colleagues , nobody speaks out. Thank you for declining to serve such phony academics, and I hope that your post will inspire others to follow suit. But surely it shouldn’t be a muddy area? There is an article published in PLoS Medicine on the use of ghost writers, and whilst it acknowledges this is a “grey area”, it calls for academic writers/ghost writers to be the ones to police it I.e. Push clients to acknowledge the role of the writer. That, in my view, is not enough. There needs to be an active, open discussion on this topic. It is not restricted to articles, I have also been contacted regarding writing doctoral theses. Again, I have declined the offers. I should not be surprised, but if the dishonesty starts at this stage of the career, where will it end? The short answer to your question is, “No, it is not ethical to ghost-write a paper”. The long answer is also “no”. Ghost writing (for example, writing the first draft for the authors, substantially revising the manuscript with varying degrees of participation by the named authors, but not being named anywhere in the article as the person responsible for this) is considered unacceptable. To make these contributions to a manuscript legitimate and transparent, the person who undertakes them should be named in the Acknowledgments section or list of authors and other contributors, and the role of the non-author contributor should be specified. Try searching the net with the terms [research article ghost writing ghost author medical writer]. This should locate professional practice guidelines on ethical authorship issued by editorial organizations such as the Council of Science Editors (CSE), World Association of Medical Editors (WAME), Committee on Publication Ethics (COPE) and International Committee of Medical Journal Editors (ICMJE). Professional associations for medical writers (AMWA, American Medical Writers Association and EMWA, European Medical Writers Association) have also developed guidelines that advise members to avoid ghost authorship. The Instructions to authors or Guidelines for manuscript preparation for most reputable research journals will contain information about the journal’s or publisher’s policies on who is allowed (or required) to be named as an author. In many if not most journals, ghost-writing is explicitly forbidden. If your involvement in writing the manuscript meets the journal’s definition of authorship, you should be named in the list of authors together with the other authors. These policies are spelled out precisely to prevent authorship disputes — which, as you note, can turn nasty and be very difficult to resolve to everyone’s satisfaction. Japan Today reporting that Obokata has agreed to retract both nature papers. Finally! Is there a preferred method of submitting questionable published articles? I know you focus on more recent publications – but one of the co-authors on these related papers is now a President of a major university, who has recently been subject to several votes of no confidence…. seems as though his questionable behavior started sometime ago. Thanks for all your efforts to cleanse scientific research from fraud. Here is a serious problem in the cancer research area: even though certain cancer cell lines shared between labs have been characterized as contaminated/misidentified and a big file has been published that lists these cells, previous publications with these cell lines have not been retracted. Moreover, new papers emerge that continue using the same tainted cell lines. What can we do about authors that pollute science and about journals that continue publishing their false research? Could Retraction Watch open a discussion with editorial boards with the goal to retract these papers? Especially for medical corrections/retractions, these should be immediately reported to PLOS and other large, mostly free data bases, to get the information out without regard to certs and advantaged-income status of researchers. This would give lay searchers access to vetted data, along with what other stuff they will find with testimonials on the net. Cochrane is going to be slower and is not readily accessed by lay people in my recent experience, but I still think they should be copied with what goes to PLOS. The Endocrine Disruption Exchange has readily available on-line research. It’s tough to use for lay publications, but it can be used in regulatory hearings. This is also a world-wide data base, which makes it much better for us in the U.S. where so much information is astro-turfed and hidden from handy access on the web by those paid to do that. The call letters for The Endocrine Disruption Exchange are TEDX. Guess how easily that comes up on a search on the first page! This is a much-needed endeavor. Over the long term, it will lead to better health of researchers and the large-headed personages who have been trying to skate on the efforts of indentured servants. If they fight you, crowd-searching will bite them back. I do not think they will fight much. Love your website. Saw an article about two Doctors in Toronto (in Toronto Star) and followed the story here. Will send it on to a few peeps and hope they do the same. Very interesting even with my limited formal education. This is great work you are doing, like Police which keep eye on Civilians, Retraction Watch has emerged as a police for Science Researchers. This will really keep them under ethical circle atleast.